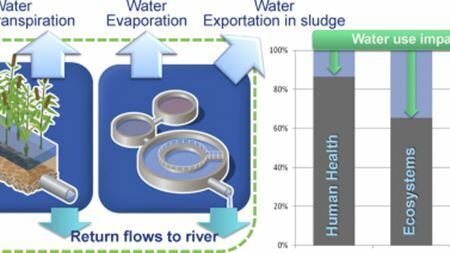 How environmentally significant is water consumption during wastewater treatment? Lower energy costs, improved operational efficiency and reduced environmental impact found in a 21st century version of traditional technology. Making all the pieces of the puzzle fit for industrial clients. Busch has delivered specialist blower systems to four oil & gas floating production storage and offloading facilities offshore Brazil. Three mini-case studies from the US illustrating the benefits of self-clean filters in cooling towers. INDEX 2014, 8-11 April, Geneva, Switzerland: Sandler: booth 2431 in hall 2. This case history illustrates the operational results over a one year timeline upon installation of new Lewabrane RO membrane elements. A look at UV applications in the pharmaceutical and food & beverage industries to ensure bio-security. This stay-wet fabric and filter media overcome the biggest obstacle to antimicrobial performance: keeping the active ingredient from drying out. Why Volkswagen opted for volumetric mesh from GKD for a new generation of LP EGR filters. How an underwater pelletizing system brought substantial improvements to the type of granule produced and reduced the amount of waste produced. This article looks at the advantages industrial woven wire meshes has over other filter media, solutions.